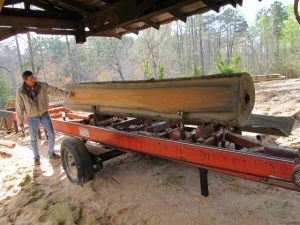 Scroll down to see all of our Sinker Cypress Logs! Are you looking for veneer that tells a story? Perhaps you are scouring for that special veneer that was once a tree hundreds –maybe thousands- of years ago during times that we can only learn about in history books. Sinker Cypress is one of the most durable woods around, and some logs recovered from rivers are thousands of years old due the natural preservation of the river itself. 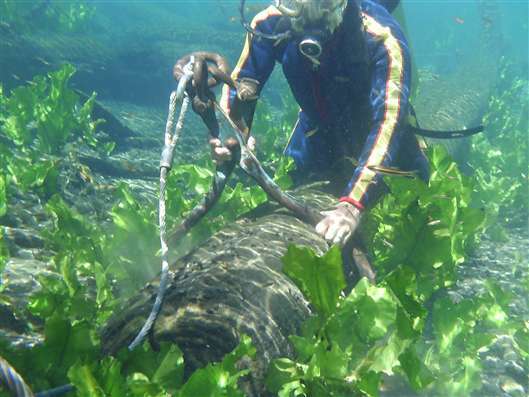 There are crews of people who work to recover these ancient logs from colonial times, including scuba divers! 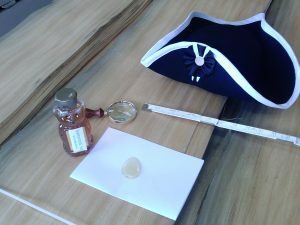 This honey-colored wood was popular during the colonial times! The Seminole American Natives called Cypress “Hatch-in-e-haw,” meaning “Wood Everlasting.” The name ‘eternal wood’ comes from the long term use of small hollow logs as water pipes in houses and larger hollow logs for well castings in use for more than 150 years. There are reports of Cypress shingles lasting more than 250 years. Without a doubt, Cypress is the longest lasting exterior wood in history! Sinker Cypress logs were harvested starting in Colonial times until about 1890. A certificate of origin is available upon purchase. Other Names: Bald Cypress, Red Cypress, Black Cypress, Reclaimed Cypress and Deadhead Cypress. Source: Most cypress trees are natives of the South. They are found primarily in wet, swampy areas along the Atlantic Coastal Plain from Virginia to Florida, and west along the Gulf of Mexico to the border of Texas. Sinker Cypress is pre-cut timber from rivers and lakes, that has been naturally preserved for hundreds of years. These trees were lost during transit to saw mills and simply left behind. Harvesting of these “sinker” logs first occurred in the Colonial times of the 1700’s, and continued on up to the late 1800’s. Some logs were blown down into the rivers even before colonial times. The age of a few of the logs goes back 1,000 years; you need a lot of patience and a magnifying glass to count the rings! Color: The sapwood is pale yellow white with the heartwood varying in color from light to pumpkin orange to dark or reddish brown. The Sinker Cypress has dark gray, emerald, and black on the outside portions in contrast to the lighter colors in the center. Heartwood is generally darker than sapwood, but the two are not always clearly differentiated. True sinker cypress is green or olive green. When cut it is a deep yellow and when exposed to oxygen, a chemical reaction occurs and the color changes to green, or olive green with streaks of yellow in some boards. This only occurs to cypress logs that have been completely submerged underwater for over one hundred years. The color changing process occurs after 20 to 45 minutes on the exposed surface, as the board dries it goes completely through. Characteristics: Rich Colorings. Cypress contains an oil called Cypressene. This oil is what creates the incredible durability of Cypress lumber. Due to its own preservative oil, this heartwood is naturally resistant to insects, decay, chemical corrosion or other damaging elements. It also easily takes paint and stain, although most people select Cypress for its natural appearance which can be sealed clear. Old Growth or Virgin Growth Cypress contains the highest concentrations of Cypressene. New Growth Cypress does not contain the same dense heartwood content or the same high concentrations of this oil as Virgin Growth Cypress. It is told “old timers” lost an estimated 10% of the logs harvested, during transport to the mills.